We combined the sweetness of Southern pecans with stone-ground whole wheat and wildflower honey to create these irresistible nutty tea biscuits. 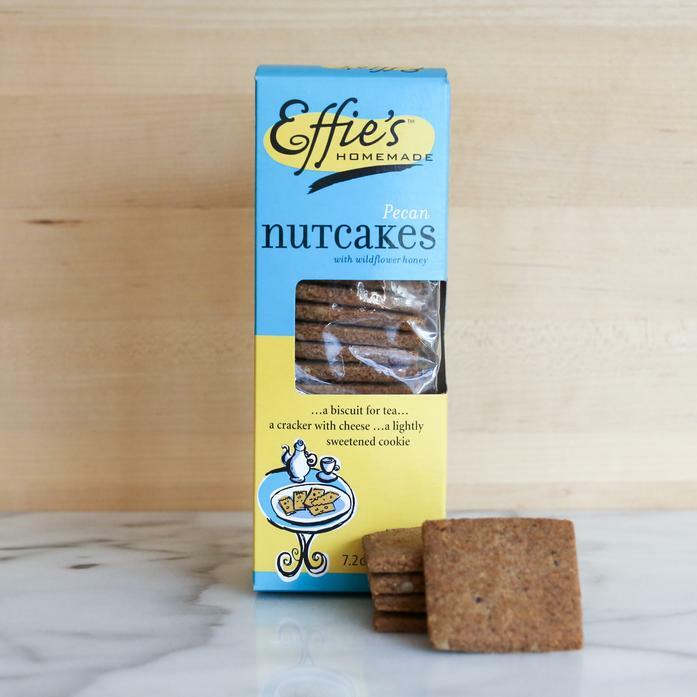 Effie’s Pecan Nutcakes have a comforting flavor and buttery texture that make them perfect with your favorite hot or cold beverage. Try topping with stone fruit preserves, or pair with goat and blue cheeses.